Knowing how scores of the protein bundle together will make it easier to disrupt their accumulation and stop their harmful effect from spreading uncontrollably. 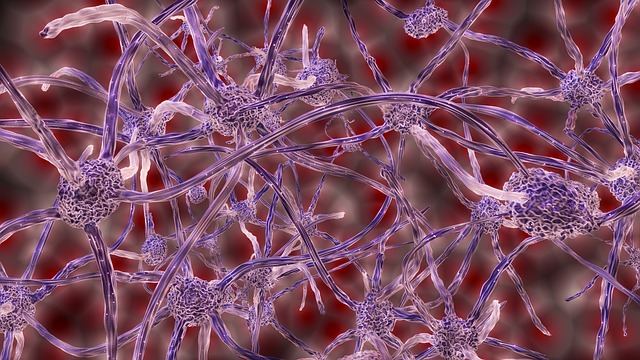 By studying the brain tissue from a deceased 74-year-old woman with Alzheimer’s disease, researchers from the Medical Research Council’s Laboratory of Molecular Biology in Cambridge, UK were able to isolate tau proteins and explore their structure in unprecedented detail using Cryo-Electron Microscopy (cryo-EM) — a revolutionary imaging technique that studies samples at extremely low temperatures. From the high-resolution images they obtained, the team was able to provide the very first detailed description of tau filaments. Their newly discovered insights on how these tau proteins behave could pave the way for the development of better treatment drugs, particularly those targeted at neurodegenerative conditions like dementia and its most common form — Alzheimer’s disease. It’s not that researchers aren’t already aware of how tau proteins are involved in Alzheimer’s. Basically, it’s been known for about 3 decades that as the number of tangled tau filaments grow, symptoms of the disease become worse. The main thing, however, is this: it’s only now that scientists have been able to see tau filaments at extremely close range, specifically, at atomic-level detail. More detailed information about the protein structures will of course mean a more precise way of dealing with their behavior as it could lead to the development of new approaches and techniques that can better prevent, diagnose and treat neurodegenerative disorders. Patients with Alzheimer’s disease typically have two types of abnormal proteins in their brains: tau filaments which form within the brain’s nerve cells, and beta amyloid proteins which form outside the nerve cells. In healthy brain cells, tau proteins serve as a stabilizing element that helps protect the brain. But when they become defective, they tend to form into bundles of tangled filaments. As tangled filaments, they affect the cell’s shape and mess up its ability to properly function. Consequently, communication between brain cells becomes hampered, which is a precursor to decreased cognitive ability and neurodegeneration typical in conditions like Alzheimer’s. That situation is now bound to change. With the new findings, it may now become possible to prevent these harmful proteins from clumping together, and hopefully, this can usher in a brand new era where neurodegenerative conditions will no longer be considered a curse because they can finally be effectively treated. The study was recently published in the journal Nature.